Porter M.E. – Maine State Police Found much more than dirty laundry when investigating a suspected drug operation at a Laundromat. 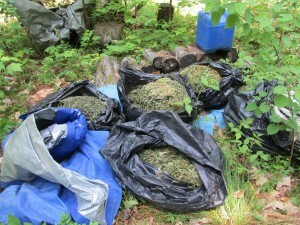 According to Maine State Police Trooper Martin G. Royle began investigating a large Marijuana growing operation in the town of Porter on June 3rd. Trooper Royle was able to identify Mark and Richard Vieira as the owners of the operation. 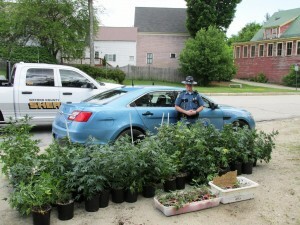 A search of the Laundromat the brothers owned as well as several other locations led to the discovery of 11 pounds of processed marijuana and 109 live plants with an estimated street value of $80,000. The brothers are being charged with Cultivating Marijuana.